You can buy beauty products from many sources in the Havertown, PA area but many are guaranteed only when bought from a licensed professional. The staff at Headlines Hair Design has been expertly trained to help you select the best products for your lifestyle. Thank you for supporting us by purchasing professional products only from Headlines Hair Design—the premier hair salon in Havertown. Headlines Hair Design is proud to offer Matrix to our clients. As expert Matrix specialists, we strive to deliver the best products and services in the Havertown, PA area. Our decision to offer Matrix to our valued customers is part of this commitment. 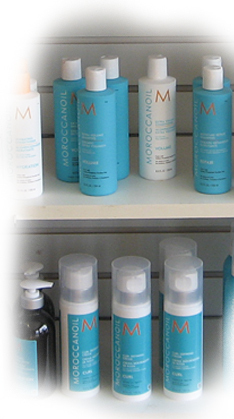 Headlines Hair Design is proud to offer morracanoil to our clients. As expert morracanoil specialists, we strive to deliver the best products and services in the Havertown, PA area. Our decision to offer morracanoil to our valued customers is part of this commitment. Headlines Hair Design is proud to offer Pureology to our clients. As expert Pureology specialists, we strive to deliver the best products and services in the Havertown, PA area. Our decision to offer Pureology to our valued customers is part of this commitment. Headlines Hair Design is proud to offer Redken to our clients. As expert Redken specialists, we strive to deliver the best products and services in the Havertown, PA area. Our decision to offer Redken to our valued customers is part of this commitment.